"Kelsea Glynn is the Queen of the Tearling. Despite her youth, she has quickly asserted herself as a fair, just and powerful ruler. Erika Johansen's fierce and unforgettable young heroine returns in this dazzling new novel of magic and adventure, set in the beguiling world of the Tearling." Epic. This series is epic. I am so in love with this series and the world and the characters. I don’t think I’ve ever read anything quite like it. On its face it’s a high fantasy but it’s also a dystopian or maybe sci fi or historical. It doesn’t fit into one box and I love it all the more for that. Kelsea is an incredible heroine and she has grown so much from the first book. I love her strength and tenacity and her devotion to her people. She truly cares about them and is willing to do what needs to be done. What I liked in this one is that Kelsea flirts with danger in this one and skirts a line of right and wrong but she always seems to come out stronger in the end. She is a true fighter. And the book wouldn’t be what it is without the secondary characters. I love love love Lazarus and I want to know everything there is to know about him. Pen holds my heart and is my absolute favorite. Aisa is tough as nails and I love this little girl. Glee is adorable and Andalie is so loyal. And of course I still want to know more about the mysterious Fetch. The plot in this one kept me on my toes and so much caught me off guard. And I loved getting some backstory about the Crossing and what not. There were so many layers to this story and I love how seemingly disconnected things all wove together as part of one larger story. There is so much going on and I can’t wait to get my answers. 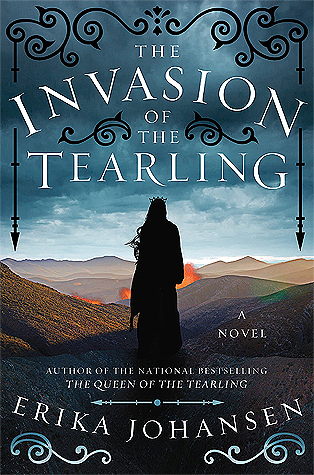 The Invasion Of The Tearling is a fantastic read and I’m so enjoying binging this series. I cannot recommend these books enough. Easily a new all-time favorite. Glad to hear you are still enjoying this series so much. I always love it when the secondary characters aren't just background noise. It really helps bring the story to life.